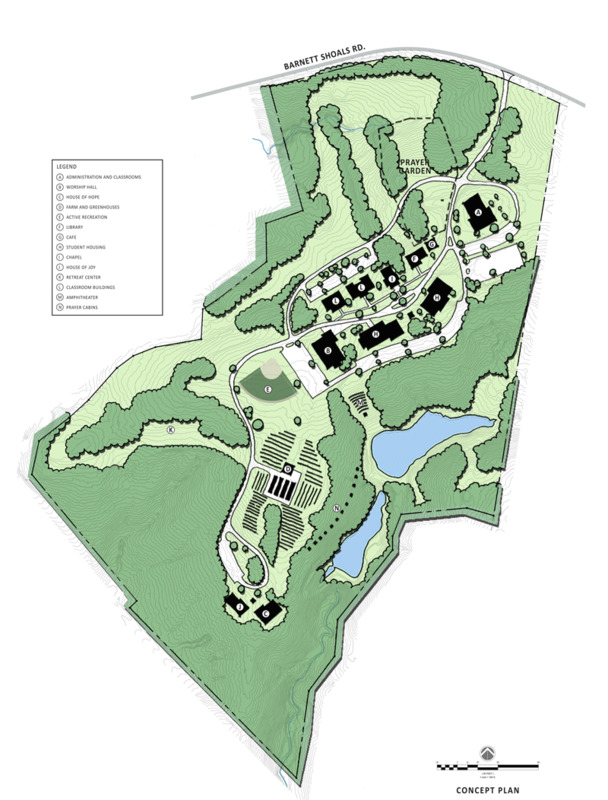 SPG created a master plan for the 114 acre campus of the Athens College of Ministry. A portion of the former Green Hills Country Club was selected as the site to develop the campus. The campus design includes a working farm to create opportunities for service learning and to provide spaces of inspiration. The agricultural setting of the site allows the college to provide a holistic approach to ministry training including traditional academic teaching along with hands-on learning. The campus will serve as a natural retreat for the community and will be used to host gatherings, conferences, children’s summer music camps. SPG also provided civil engineering, land planning, and landscape architecture services for the project. The Athens College of Ministry is an interdenominational college that offers both undergraduate and graduate college credit programs in Christian ministry. Founded in 2009, the Athens School of Ministry & Worship Arts first opened its doors to students in 2012. The college accomplished full authorization status from the Georgia Nonpublic Postsecondary Education Commission and formally changed its name to the Athens College of Ministry in August 2015.